It’s just 12 weeks until Christmas! Memory Quilts make great gifts, but getting yours made to a deadline might feel like a bit of a challenge. There’s nothing like working alongside others, with someone giving you a few nudges along the way. 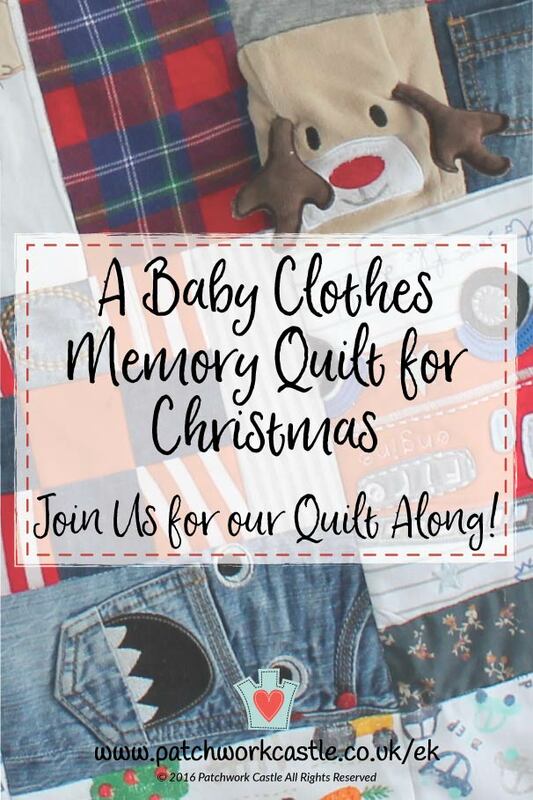 So, if you’d like a little support to get your own creation made in time for Christmas then come and join me for our very first Baby Clothes Memory Quilt-Along. We’ll be making a Baby Clothes Memory Quilt using the Patchwork Castle Baby Clothes Memory Quilt Tutorial. The whole idea is to tie making the quilt down to a deadline, and to offer extra support, resources and encouragement along the way. I did something very similar when we were originally testing the tutorial and it worked really well. It was fun to chat with the participants, and really great to see everyone’s quilts taking shape. There’ll be some introductory material available as soon as we launch. Things will kick off officially on the 17 October focusing on selecting and preparing the clothes, and choosing a design. The latest date to join will be 24 October as that’s when we will launch into preparing the patches, cutting and sewing. We’ll aim to have our quilts done and dusted by very early December to leave some breathing space for the Christmas fun! I think it’s a very doable schedule, and a realistic timescale but if you do fall behind you can continue to follow along at your own pace. You’ll need a copy of our Baby Clothes Memory Quilt Tutorial and there’ll be a small charge to join the Quilt Along (I’ll be keeping this low as it’s our first time out there). If you have the tutorial already that’s great, and if not you can buy it alongside the Quilt Along for a discount on the overall package. You’ll obviously also need the resources and equipment specified in the tutorial in order to make your memory quilt. I’ll publish a blog post on a private section of the website covering the focus for that week, flagging up relevant sections in the tutorial and adding extra tips, information and advice. 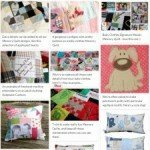 I’ll cover any questions that have come up, the best of the Facebook group for the previous week and my work in progress as I quilt along with you. You can also join the Baby Clothes Memory Quilt-Along Facebook group (set up just for this Quilt Along), where you can post photos of your progress and share your questions with others taking part. You’ll also get access to our Facebook group for all tutorial purchasers – a great resource for ongoing advice and support. Share pictures of your memory quilt as you create it and for a final celebratory gallery at the end. I’ll be quilting along with you, so I’ll post regular updates on my memory quilt and how I’ve gone about it. If you’d like to be notified when registration opens (and you’re not already on our mailing list) then please do sign up here. Please do share this post with anyone you think might like to join us. Finally, if you have any questions about the Quilt Along, or things you’d like included that I haven’t mentioned please leave a comment below. Thanks so much, here’s hoping you’ll join me!